We at Edge Sight and Sound, wanted to say a big congratulations to Oklahoma Heart Institute on their 25 years of heart care! For those who don't know, Oklahoma Heart Institute is Oklahoma's most advanced dedicated hospital for the prevention and treatment of heart disease. From comprehensive diagnostics to open heart surgery and cardiac rehabilitation, Oklahoma Heart Institute combines recognized cardiovascular physicians with the region's most advanced technology. 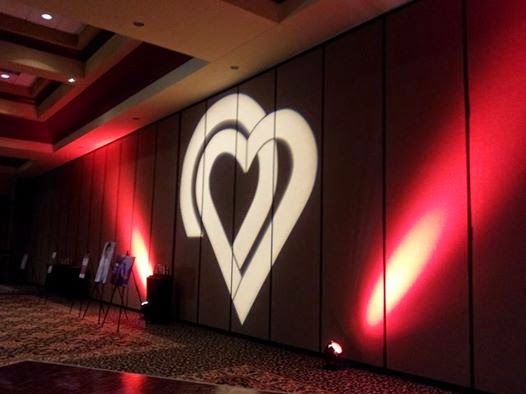 Over 450 people from the Oklahoma Heart Institute joined us at the Renaissance Tulsa Hotel & Convention Center for dinner and dancing! We were truly honored to participate in such an amazing celebration! Again, congratulations on the 25 years and we hope there are many, many, more to come!